Do you really have to go far away from the city to get away from it all? Is there a place where you can have your cherished breathing space or bring the whole family for precious bonding moments? Best buddies Willy Ocier and Jerry Tiu — who are really more like brothers, having gone to the same schools and sharing the same passion for sports, zest for life, and zeal for work — did not only ask themselves these questions. They sought the answers to their questions and dared to dream high. 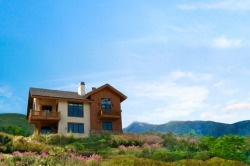 Soon enough, that dream became reality: Tagaytay Highlands, a premier membership recreation and residential community nestled in the hills of Tagaytay, an hour’s drive from Makati and Ortigas business districts. No, you don’t have to go too far away to get away from the polluted, maddening city and everyday vexations to the spirit. 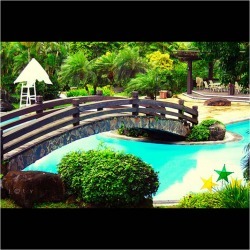 Not with Tagaytay just around the bend. 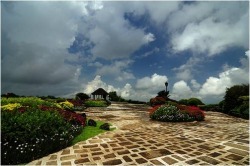 Yes, in Tagaytay Highlands, you can have all the space you need, and all the peace and quiet you want. And yes, you can finally have that time you’ve always wanted to spend with your family — bring your children, your children’s friends, Lolo and Lola, and members of your extended family. Which is exactly what Jerry and Willy enjoy doing. 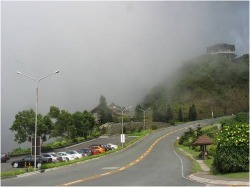 Particularly on weekends or weekend holidays, Willy and Jerry bring their families to Tagaytay Highlands. Willy drives up with wife Geraldine and children Mischel, Isabelle, Sean, and Chris while Jerry goes with wife Lianne and kids Cheryl, Chris, Charles, Christine, and Christian. Their kids are like brothers and sisters, too. They even go to the same school. In school, Isabelle Ocier often gets a free meal courtesy of Chinky Chicken, which Chris Tiu owns and runs at the Ateneo canteen. Girls, now you know where to find Chris Tiu, at least some weekends. Here’s another hot tip: Some days, you just might find Chris dining with his family at China Palace in the Mall of Asia, where his dad Jerry and uncle (and manager?) Willy have put up a branch of Tagaytay Highlands’ popular Chinese restaurant. Over herbal soup and fine Chinese food, we learned about a specialty — and best-seller — of the house that’s said to be more potent than Soup No. 5. A lot of bull, you say? Well, it was so potent that it had Chris flying and dunking on the basketball court the next day. 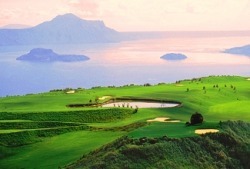 But to go back to Tagaytay Highlands ... Other than golf, there are tons of things families can enjoy doing together at Highlands. For instance, they can enjoy watching a concert together. Only yesterday, concert pianist Ingrid Sala Santamaria shared her music with Tagaytay Highlanders at the Lakeview House. If the tee is not your cup of tea, there are a lot of other fun activities that can keep kids delightfully occupied: They can drive around the Country Club, go swimming, catch tilapia at the Fishing Pier, and, of course, engage in a favorite family bonding activity — eating out. At the Highlands, you’d be spoiled for choice: It’s got Japanese, Chinese, Thai, Spanish, Italian, and Korean restaurants. Then there’s the very popular Highlands Steakhouse (which also has a branch at the Mall of Asia). Slowly becoming a favorite wedding venue (Claudine Barretto and Raymart Santiago got married there last year), Highlands has built a new chapel called Madre de Dios near the Midlands Clubhouse that’s got a romantic view of the lake. As for us, we didn’t go to Highlands to golf, get married or to honeymoon. We went there to, uh, just to be there. Fact is, during our recent weekday stay there, all we did was order room service in our Belle View condo, eat, watch TV and, yes, enjoy the breathtaking view of the Taal Volcano Lake from our veranda. 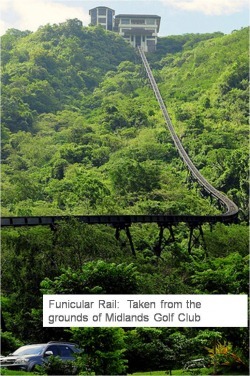 Surely, no postcard can come close to this! And amid all these wonders of nature, you know that surely, there is a God. And how does he feel when he comes back? Such are the highs of living in Tagaytay Highlands.